Crock pot decadent chocolate cake, need I say more. 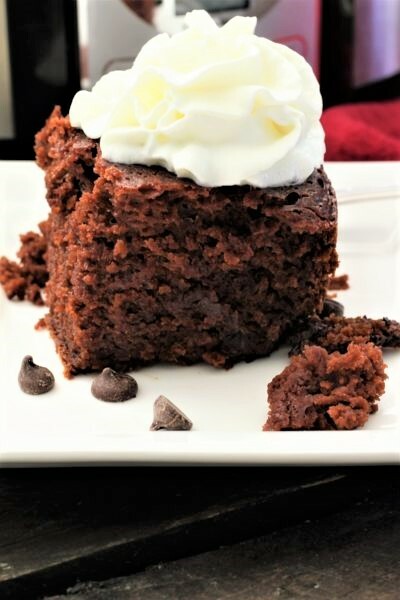 This easy cake is so nice to make. It only requires that you stir everything together and then place it in the crock pot. 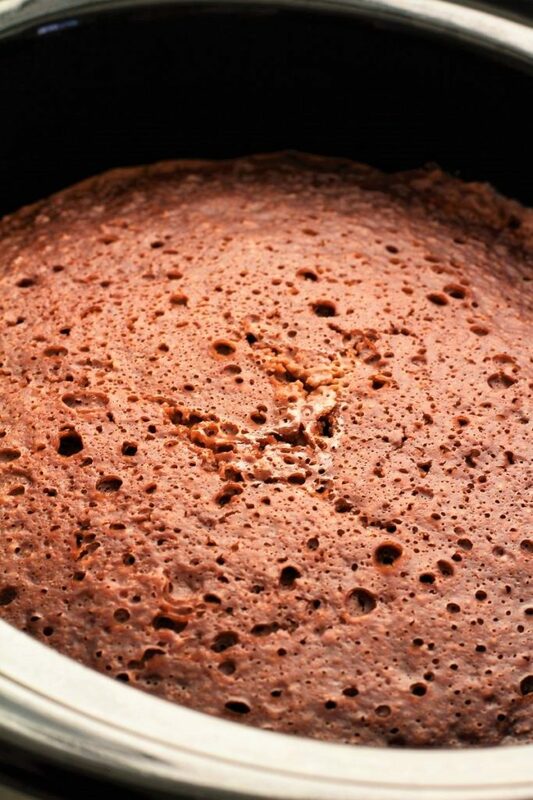 In a couple of hours you have an amazing chocolate cake. It isn’t very often that you find a cake that you can put in the crock pot and forget about it. This crock pot decadent chocolate cake is loaded with chocolate. Then I love that while it is still warm, you can add some cream or ice cream and just let it soak right in. We eat this cake while it is still warm, or we warm it back up before we eat it. So today my husband has been working in the kitchen. A few weeks ago my big light went out, and ever since we have felt like pioneers, using one small bulb in the kitchen. We decided to put in some can lights, but if we had to do it over again, I would tell him to go buy a new big light, just so it would have been done. I know that when you have something break after 22 years, it takes some undoing to get things ready to do things over and get them right. One great thing about my husband is that he is very handy, and he is very meticulous when it comes to doing things. Sometimes it does take a little longer than I would like, but it does eventually get done, and it is done precisely. Plus, I can’t wait to see the lights after they are in. The only problem is that with new lights, comes the other things that need to be done. My ceiling needs painted, because it seems that a couple of my kids have opened up different bottles and they have exploded all over the ceiling. Sometimes, I think that it would be easier to start from scratch. However, we did build a lot of our house. I remember coming down off of the roof after a hot summer day and my ankle was huge. I told my husband that I had had it and I didn’t even want to move into this house. I guess that I was just a little tired. I had kids that were little at the time and I was tired of putting the TV in the garage and letting them watch VHS tapes. Ha ha. Some people probably don’t even know what those are! That day I must have left the kids with someone to tend, but I do know that I was never so happy when we were finished with the shingles on the roof. A few times we have had some crazy winds come and blow some of the neighbor’s shingles off their roofs. But my husband assures me that it will not happen to ours because they are put on right. That is fine by me, and he is right. He was working in the kitchen tonight while I was trying to fix dinner and he said, “I think that I am going to have to send my family away on vacation while I work on the house”. That would be great and all, but I would much rather have him come with us if we were going to go on vacation. I guess if it doesn’t get done today, I will be having pizza for dinner tomorrow. And for dessert, I will have crock pot decadent chocolate cake, because we did have some left over. I guess that is what happens when you only have a few of you left at home. 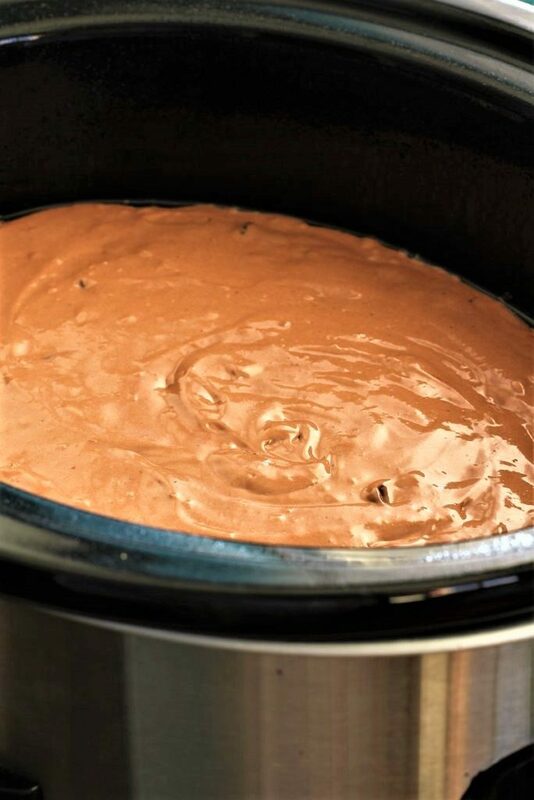 1- Every crock pot is different, so check your cake when it gets to 5 hours, if you are cooking it on low. 2- Check it at 2 hours if you are cooking it on high. 3- I like to cook crock pot decadent chocolate cake on low if possible, it seems to cook up a little nicer. 4- If you cook it on high, and it seems like the middle isn’t done, check it every 10 minutes, and remember that the crock pot will continue to cook as the pot is still hot. 5- You could also drizzle this cake with vanilla frosting. 6- If you want, you can also use 3/4 cup vegetable oil and omit the apple sauce. In a large bowl, combine the cake mix, sour cream, water, eggs, dry pudding mix, vegetable oil, and apple sauce. Lightly grease a crock pot. Then pour the mixture into a medium to large size crock pot. Cover and cook on low for 5 - 7 hours. Check the cake after 4 hours. Or cook on low for 2 hours. When the cake is finished, garnish with ice cream, or whipped topping or cream. Serve while it is warm. I love Crock Pot meals, but especially cake in the Crock Pot! Thanks for sharing the recipe! You are so welcome, thank you for checking it out! And thank you for stopping!!! I never think to do sweets in the crock pot, what a fun idea! I usually don’t think about doing desserts in my crock pot either, but I do like this cake. Thank you for coming by. I love that this is made in the crockpot! Plus anything you are going to call chocolate and decadent, I am down for! I also so look forward to your recipes, looks delicious! Thanks for sharing with us at the To Grandma’s house we go link party, see you next week! Thank you for the wonderful party. It is always so fun to attend. And we appreciate your support!